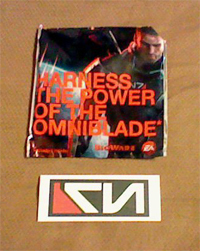 For our second giveaway we have the Mass Effect 3 Blow-up Omniblade + Temporary Tattoo. One winner will receive both prizes. These items were given away outside the Bioware Lounge during SDCC 2011. Both items are unopened and or unused. 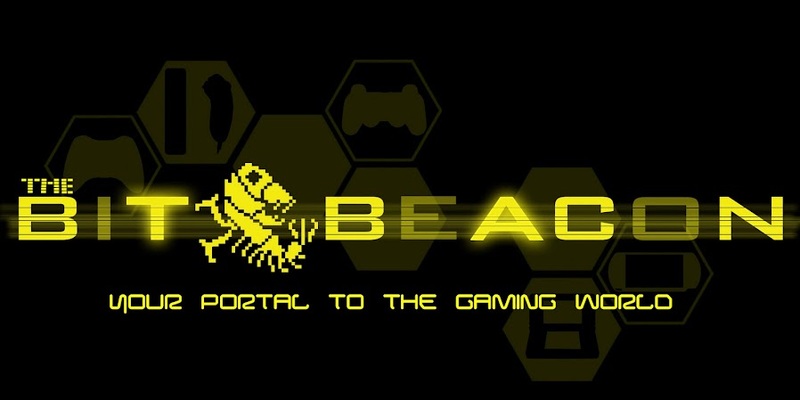 You MUST post on the website logged in or with the Name / URL option. Anonymous posts will be disqualified. This is because we need to be able to contact the winners. If you use the Name / URL option please be sure to put your email address in the URL box. However the '@' symbol is not allowed to just replace it with a period. At the Bioware Lounge three games were playable. Mass Effect 3, Star Wars: The Old Republic, and Dragon Age 2: Legacy. Which of these three franchises are your favorite and what other games in the franchise have you played so far? This contest ends at 11:59pm on Monday, August 1, 2011. We will then put everybody who submitted a comment into a drawing and select the winner. Well, having never played Dragon Age and a slow computer that can't play games, I'll go with the Mass Effect series. It's a great game anyway, I played the first and second and can't wait for the new one next year! One entrant, one winner. Thanks for participating!